How to watch Effie Gray (2014) on Netflix Argentina! 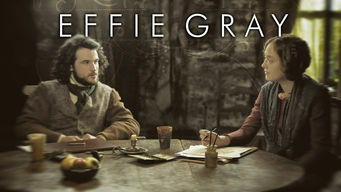 Yes, Effie Gray is now available on Argentine Netflix. It arrived for online streaming on October 7, 2017. We'll keep checking Netflix Argentina for Effie Gray, and this page will be updated with any changes. Dakota Fanning stars as Euphemia Gray, whose unfulfilled (and unconsummated) marriage leads to her affair with a young painter.